Wood was probably Friedrich's favourite medium and he carved to the sound of classical music, on Radio 3. Please click on the picture to the right for a slideshow of the early woodcarvings carved from a previously uncarved block of wood. See also at the bottom of this page a second such slideshow based on photos taken of the collection on 18 June 2018. 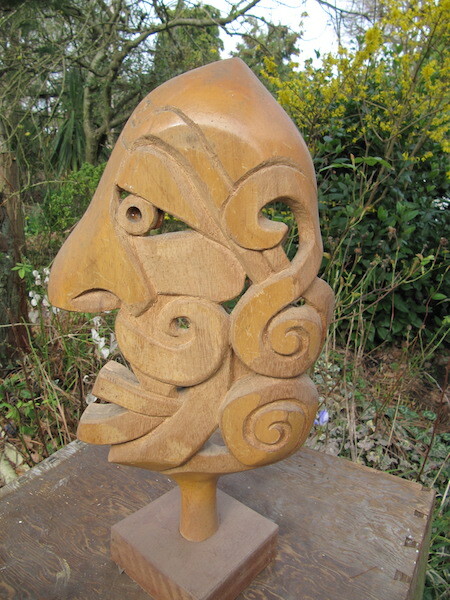 Many of the later carvings were created using wooden items bought cheaply from junk shops and boot fairs. These could have been crude souvenirs or primitive art work, but it was the wood that Friedrich wanted. He also repurposed other items, such as wooden trays (right) and wooden clogs. A feature of many of these carvings was that they could be viewed from both sides to reveal multiple faces. Please click on the image to the right to see a slideshow of these sculptures. 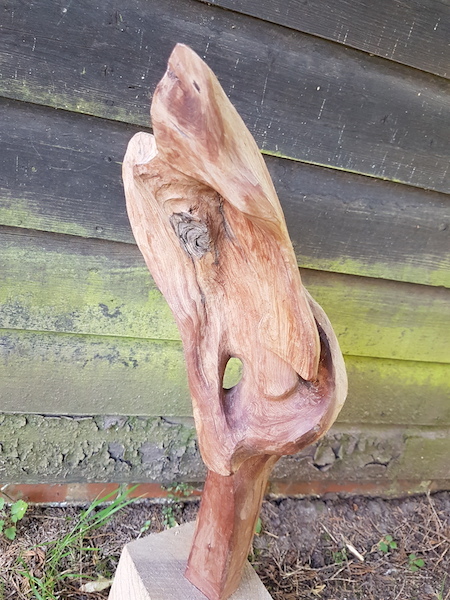 Please click on the picture to the right to see more woodcarving. These were photographed during a visit of Marc Steene and Cornelia Marland of Outside In. 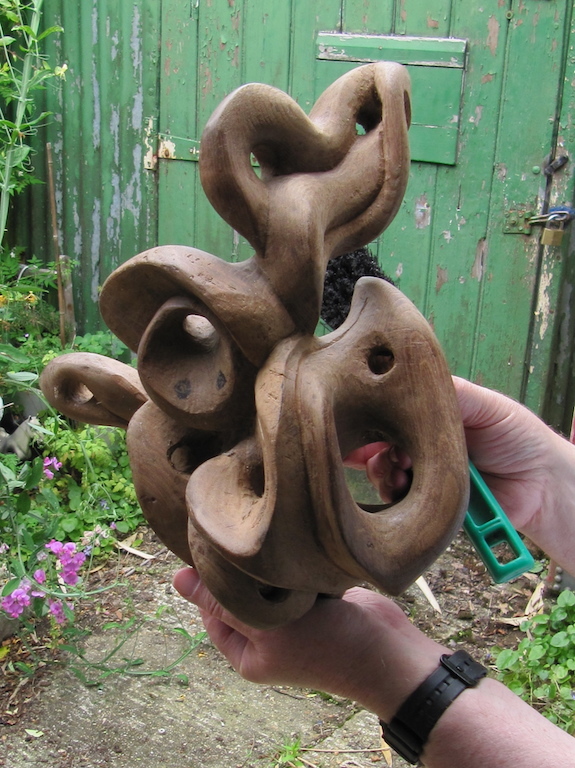 They were all carved from previously uncarved wood.